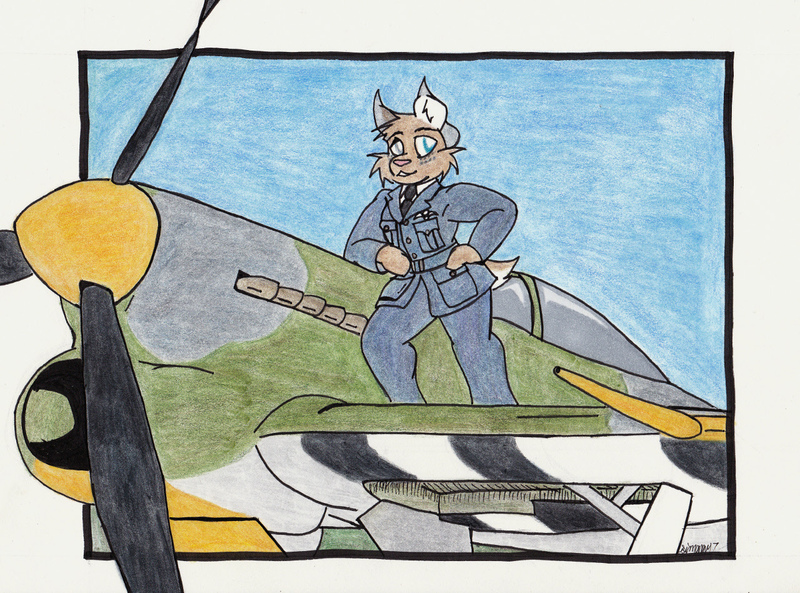 The Hawker Typhoon was a single-engine fighter fielded by the British Royal Air Force during the Second World War. Though initially developed as a counter to the German Focke Wulf Fw 190, the Typhoon was soon found to be a better fit for the ground attack and close air support role. Originally equipped with 12 .303 caliber machine guns, the Typhoon was later armed with four 20mm Hispano cannons and could also carry 8x RP-3 rockets, 2x 500 lb bombs, or 2x 1000 lb bombs. Though the little Hawker fighter was a capable aircraft, it was quickly eclipsed by newer designs as the war continued and was quickly removed from service once the war in Europe was over. Thanks as always for the history lessons, I never knew about this plane. Is the Hispano in Hispano cannons related to the Hispano-Suza cars from the 1920's-30's? Short answer is yes, slightly longer yes and no. Hispano-Suiza was a Spanish company known as a car manufacture and had a semi-autonomous branch/facilities in France. During the Spanish Civil War, the French affiliate was (if I remember correctly) taken over by the French. At that point they started developing and building aircraft engines for the French military and also developed a couple of 20mm auto-cannons. These cannons were initially field on French aircraft (such as the Dewoitine D.520 fighter) and then produced and fielded by the British for their own aircraft. Versions were also built by the United States and mounted on some of our aircraft (I believe the P-38 was fitted with different versions the Hispano cannon along its development); however, the US military tended to favor the greater ammunition capacity of the Browning .50 cal machine gun and the Hispano never saw quite the popularity here as it did in Britain and France. Thanks for the history lesion, I love learning new things. I appreciate the "long" version.